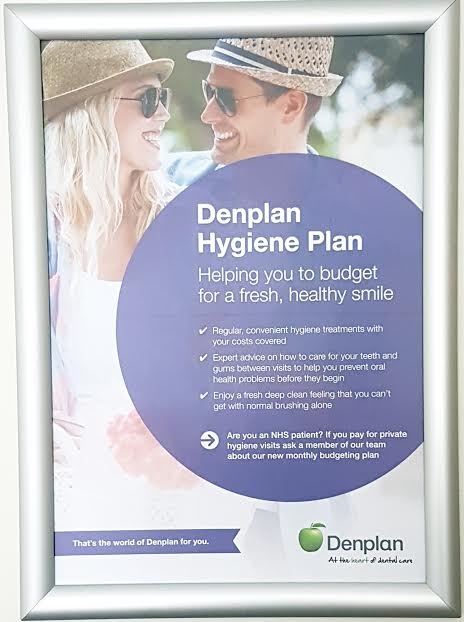 Lisburn Dental Clinic & Denplan are now proud to be offering all our patients a new affordable monthly Hygiene Plan. Helping you Budget for a Fresh, Healthy Smile. You Will recieve 4 hygiene appointments a year at a monthly cost of ONLY £11.66 a month (38p per day / £2.69per week). There is NO pre-assessment before Joining Denplan Hyiene Plan. SImply arrange an appointment with David, Asiling or Jenny and they will discuss your care. ENJOY A CONFIDENT, FRESHER SMILE!